• Jul 29 – 10am – Trouble Shooting & Skills Building – Lead Follow-up Systems & Why Be Listing Focused? I guess it is no surprise that our San Francisco real estate market is so active. San Franciscans have just over 372,000 residential units from which to choose. No wonder residential real estate is such a scarce resource. The inventory grew by only 269 net units in 2011 after years of growth in the 2,000 to 5,000 range. As the economy warms up, expect the meagre inventory available to vaporize. Happy Bastille Day! 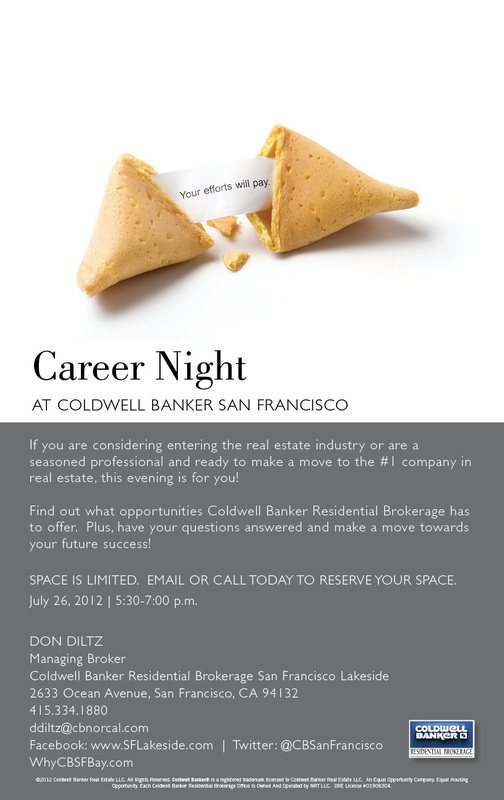 ==> Call me to reserve a space at Career Night! By now everyone knows that the real estate market in northern California, especially the Bay Area, especially San Francisco and the Peninsula – is doing very well, thank you very much. The constant cries of “There is no inventory.” definitely indicate a shortage of inventory, but, truthfully, not a shortage of sales. For, whenever a new listing comes on the market (or even, quite often these days, when it doesn’t), it is quickly sold if it is reasonably priced and in decent shape. So, the stock of inventory is low but the flow of sales is pretty brisk. Posted in Market Watch, Why Join SF Lakeside Office? Here in the Bay Area we’ve seen a recovery in the housing market for some time now. Things began to turn around in earnest last year and really have gained traction in 2012. But now as spring is in full bloom, it seems that other parts of the state and nation are getting in on the act. “Green shoots” are evident in cities that previously were showing little signs of life, creating optimism among many industry observers. In a recent news report on NPR, reporter Yuki Noguchi said the mild spring has brought buyers out earlier than usual, and real estate agents are busy around the country. Noguchi interviewed one agent whose clients recently signed a deal on a $1.5 million house in Cape Cod that was notable for several reasons. First, it closed very quickly – “the buyers didn’t hem or haw about the decision,” the agent said. Also, it crossed the million-dollar price threshold, something he hasn’t seen since 2007. The agent says many of his high-end Wall Street clients are back. Sales volume, average sale prices and buyer interest are all increasing. Lawrence Yun, chief economist for the National Association of Realtors, told NPR that he is much more encouraged than he was one or two years ago. “The recovery seems much more broad-based,” he said. “Whether one goes East Coast — Boston, [or] to the West Coast — Seattle, sales activity is solidly higher.” And smaller markets like Peoria, Ill., Greenville, S.C., and Chattanooga, Tenn., are also doing better, Yun said. But the single most telling number on the health of the market, according to Yun, is housing inventory. Home listings are down 26 percent from last year at this time, which the economist said is close to healthy market levels. While some market followers worry that we could see another wave of foreclosures, depressing home prices, Yun says that so-called shadow inventory of homes in serious delinquency or in the foreclosure process is also down. “So all three buckets of inventory … are falling, which is implying that this is a genuine reduction in inventory across the board,” he told NPR. Here in the Bay Area we’re experiencing an even sharper decline in housing inventory. From Marin County, San Francisco and the Peninsula down to San Jose and out to parts of the East Bay, the number of homes for sale is down as much as 50 percent. This at a time when the number of well-qualified buyers eager to purchase appears to be higher than it has been in years. While this rebalancing of supply and demand is good for the overall recovery of the housing market and firming up soft home prices, it is understandably frustrating buyers who are competing for the relatively few good, well-priced homes on the market today. The strong demand is leading to multiple offers on many if not most homes in certain communities with prices going for much more than the asking price in many cases. With our local economy continuing to bloom along with the spring flowers, especially in Silicon Valley, there is no end in sight to strong buyer demand. In fact, the latest UCLA Anderson economic forecast noted that growth in the San Francisco Bay Area region continues to outpace the nation, led by the technology sector. Add to that the recent IPOs and upcoming Facebook offering and you can see where demand is heading. I think word is gradually starting to get out to sellers that the financial crisis and corresponding housing downturn are finally over and it’s time to jump back into the market. We’re slowing seeing more listings starting to come into our local offices. My hope is that even more savvy homeowners will decide to sell as the spring housing market comes into full bloom. If so, it could turn out to be a beautiful season for the Bay Area market. North Bay – The Marin County market is seeing movement in the luxury segment, our Greenbrae manager reports. Central Marin is doing both sides of a $6 million deal and a $4 million deal. Multiple offers are becoming the norm with new properties on the market that are priced well and show well. We are still not seeing the spring inventory we were hoping for but there are some nice properties coming on the market, which is keeping everyone busy with activity. The next few weeks will be very telling about the market. Our Sebastopol manager said the local market is down to about a 1.6-month supply of inventory as of now. He hasn’t seen such low inventory and high demand since 2005. Agents are tripping over each other trying to show homes. It is a feeding frenzy for buyers and an incredible opportunity for motivated sellers. The Previews market is waking up after a long slumber. There currently are four of our office’s Previews listings pending, two of which had multiple offers. Homes sold in Mill Valley, Tiburon and Sausalito are up versus a year ago 9%, 25% and 16% respectively, while Belvedere is down 25%. Properties in the Previews upper end of the market are up versus a year ago in Mill Valley, Tiburon and Sausalito, and exactly even in Belvedere. SF Peninsula — All the agents are chasing too few properties with too many buyers, our Burlingame manager reports. All-cash is the word of the day, and contingent free offers. Recently, a buyer’s offer came in two hours after listing and sight unseen on the property! Easter Sunday opens were generally very busy. There is a sense among sellers that with the coming IPO’s, their values are going to go way up and this may be the reason for the tight inventory in some areas. The inventory is getting a bit thin in Hillsborough and the buyers are out there. Over $3 million is still a bit slow but $1.5-2.5 million is competitive with Burlingame, San Mateo Park, and the upper end of Millbrae and San Carlos. That makes Hillsborough very attractive at the entry level. Over the hills, our Half Moon Bay manager says the coast is starting to experience multiple offers on all price ranges – inventory is low. The market is still frenetic, especially for $1 to 2.5 homes in good areas, according to our Menlo Park manager. The Palo Alto market remains strong with most sales multiple offers. There have been some “off market” sales in Portola Valley and Woodside. Our Redwood City manager laments the lack of inventory, especially in San Carlos. Agents are farming to try to get new listings as there still are a lot of buyers on the mid-Peninsula in all price ranges. Our San Mateo Downtown manager says almost every offer has been a multiple offer. No inventory, demand side outweighs the supply side. Appraisers cannot keep up with the rising prices. Home stagers are extremely busy and our San Mateo-El Camino manager anticipates some increased listing inventory. In the local market the active listing inventory is down 38% from last year at this time. March ratified sales are down nearly 8%. March closed escrows up 38%. East Bay – Berkeley open houses continue to be jammed with eager visitors, from 80-200 on several properties. Multiple offers are frequent with 5-10 per listing, and pre-emptive offers have returned. Previews listings are awakening and coming on the market. There is an especially lively market for properties $1-1.5 million in Berkeley. Active inventory in Livermore is scarce as the city is down to 132 listings. This time last year there were 240 listings. This represents a 45% drop in available homes on the market. New pending sales and closed sales to date in April 2012 are running at the same pace as we experienced in March 2012. Listings below $650,000 in Livermore are selling quickly and many times with multiple offers. Multiple offers and two days on the market and then sold is happening everywhere, our Oakland-Piedmont manager says. Several of the Oakland agents are writing three or more offers a week and are not getting into contract. Offer dates are set and being rescinded, new listings are going in the MLS first thing in the morning and by 10 a.m. four disclosure packets are out. Agents are trying to get listings to market but in many cases the owners are unable to find a new property to move in to. The Lamorinda market is full of activity, our Orinda manager reports. Buyers are ready to purchase and are making offers. Most sales are multiple offers. Listing inventory is picking up as sellers are aware the market is very active. Open homes are heavily attended. And in Walnut Creek, FHA and VA buyers are having a tough time competing with cash and conventional offers with such low inventory. Strong conventional offers can still compete against cash but usually over asking price. Buyers and sellers actively evaluating the market, making the decision to buy and sell based on reports they are reading and seeing. Some lenders are asking for extra documentation, which increases approval times. Silicon Valley – We need more homes to sell, our Cupertino manager laments. At least half of the sales are multiple offers. Similarly in Los Gatos, inventory is down and sale prices are up. Most over bidding is happening under $2.5 million. Over that number, buyers are still negotiating. The message is clear – things are heating up in the high end and it is a good time for buyers to get in while they can still negotiate. As usual, good properties in good neighborhoods that are priced right receive the most attention. Prices are going up, according to our San Jose Almaden manager. Since January, prices have increased 10% in some cases, our local manager said. He didn’t think the market would come back with this much vengeance but it surprisingly has. A year ago, a home in Saratoga appraised for $1.14 million was polished up and put it on the market in March 2012 for $1.25 million and it sold for $1.32 million. Supply and demand and consumer confidence along with the slight rise in interest rates are the reason. Declining inventory and low interest rates continue to fuel this market, our San Jose Main manager notes. The last time inventory was this low in Santa Clara County was back in 2005. Open houses in all price ranges are extremely active with as many as 50 groups through many properties. The story is echoed by the Willow Glen manager – multiple offers, low inventory, and many buyers. The Saratoga market is still crazy, according to our local manager. Virtually all sales involve multiple offers. Most properties listed below $2.5 million are experiencing multiple offers. This segment of the market is extremely strong. South County – Our Gilroy manager says there is a huge shortage of inventory in the Gilroy, Morgan Hill, and Hollister markets. They are down 25% in inventory since February. As a result there are many multiple offer situations, with a lot of disappointed buyers. Many sellers (including banks) are asking for appraisal contingencies to be waived. Short sales are closing, but with pricing that was based on the market value four months prior, so comps are not keeping up with the actual market value. There are fewer than 80 homes for sale in Gilroy – an unheard of figure. There are only 101 single-family homes for sale in all of Morgan Hill and only 10 condo/townhomes, our Morgan Hill manager reports. Statistics also reveal that of the 101 homes for sale, only 72 of them are listed for under $1 million and only 15 are listed under $500,000. Agents are reporting that there just isn’t enough inventory to satisfy buyer demand. Morgan Hill has a population of over 41,000 people, but with the current inventory supply just can’t keep up with demand. Homes that are priced correctly and that show well are garnering multiple offers. This is great news for sellers and Morgan Hill agents are working very hard to get the word out to those individuals who are contemplating putting their house on the market that their timing could not be better. Santa Cruz County ­– The Santa Cruz market, like many others in the Bay Area, is experiencing an all-time low inventory scarcity. Properties under $700 K (if appropriately priced) are selling quickly with multiple offers in many cases. Unlike areas in Silicon Valley and up the Peninsula, there may be three or four offers, not 20 on a property. The closed sales are coming in at list price or over. However, overall, we are not noticing an overall increase in prices yet in the County from 2011. The number of closed sales is slightly up over 2011, and as we progress into the Spring/Summer months we are expecting that number to accelerate. Buyer interest has picked up in the upper end market and open houses are very well attended especially close to the beach. We are definitely optimistic about the Spring/Summer real estate market in this segment and there are a couple of properties over $1 million in escrow currently. While the prices are not what they once were, there is interest, activity and some sales in the high end. Monterey Peninsula – The market activity on Monterey Peninsula continues to be very good as we head into spring. With the mild weather, excellent prices and low mortgage rates, we’ve had many potential buyers, mostly from the Silicon Valley area, come to town to check out the feasibility of purchasing a second home here, especially in Carmel or Pacific Grove, and then buy–or tell us they will be returning to buy. In the lower-priced homes, which generally sell to locals, the inventory has been steadily decreasing so there are more buyers than properties in reasonably good condition, acceptable location and priced right. In those cases we are seeing multiple offers, even up to 10 or even more. Housing Decline Long Term? But Real Estate like All Politics is Local! When your clients start sharing national tales of doom and gloom, give them a good critique of the flawed thinking in this analytical article. ======================> What if Housing Declines for a Generation? Charles Smith provides a fascinating and well founded analysis of the national housing market. But real estate, like all politics, is local. His analytical components appear to make sense in aggregate, but when broken down to our regional level…not so much. Arguably, even on a national scale, when immigration is factored in to the demographics, his analysis is all wet. The SF Bay area has stronger demographics, stronger creditworthy buyers and stronger incomes supporting housing acquisition, and by virtue of the economy and demographics including in migration from domestic and international sources, it even has stronger household formation — all of which leads to a restoration of faith in housing as a long term investment…here…in the SF Bay Area. Even in a flat national housing market, the SF Bay Area fares well based on all the fundamental components that Smith articulates. As we stand now, our diverse technology based economy is an engine for growth and supported by desirable climate and nearly unparalleled cultural environment. Article: Which Home Repair First? 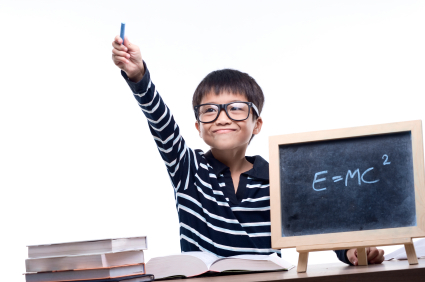 We are always hunting for items of value for our Sphere of Influence (SOI). Here is a great article that can also be a good one to steer the conversation to when they are planning to move. Or, ask if they know anyone else who might be able to use the article. Remind them that if someone is planning to move, it is a good idea to get the house in tip top condition and you could use the guidance in the article for a priority list. And don’t forget to remind them that you have a long list of professionals that you can recommend for electrical, roofing, window, plumbing or any kind of home repair. Why Join SF Lakeside Office?